What does modern healthcare look like and how can your practice get there? Modern healthcare has been transformed by advances in technology. The rise of a consumerization culture where people can easily shop around for suitable services also has an impact on modern healthcare. Medical practice managers need to respond to these changes by developing strategies to provide the best patient care while remaining profitable. For decades, technology has been used in medicine to operate specialist machinery, like MRI scanners and x-ray machines. Increasingly, technology is being used to provide a better patient experience and run a more efficient practice. Modern healthcare requires the adoption of new ways of working and liaising with patients alongside providing expected standards of care. Improving patient satisfaction scores should be a top priority for medical practices. The drive towards patient-centered care is a key facet of modern healthcare and doctors need to find new ways of effectively communicating with their patients. Patient engagement should extend beyond the conventional office visits. Health practitioners can learn from other industries, like retail, and consider using apps like chatbots to communicate with patients about run-of-the-mill inquiries. These chatbots can be developed and monitored by healthcare professionals. Facilitating this type of communication can be in the form of an online triage system to point patients in the right direction. If the use of chatbots to communicate with patients is too advanced for your practice, consider using a form of electronic communication that the majority of your patients will have access to. A study from the Journal of the American Board of Family Medicine found that, when email was used to communicate with patients, both doctors and patients experienced a higher level of satisfaction. To ensure patient confidentiality, consider using a HIPAA-compliant portal and messaging system, like Spok, for easier communication between you and your patient. Communication portals can also be used as self-service tools where patients can access test results, treatment plans, and information about their medical condition. An increased patient retention rate. Modern healthcare is driven by data. However, this data will only be fit for purpose if it’s accurate and delivered on time. Errors when recording symptoms have led to misdiagnosis and the wrong treatment being administered. The traditional way of recording information involved doctors writing information on paper charts. These charts would need to be circulated to the different doctors dealing with the patient’s care. Moving paper around increased the likelihood that charts would be misplaced. For example, charts could be lost if a patient changed doctors or went to see a different doctor, such as a locum. Paper charts depended on the patients being able to remember details of their diagnosis and treatment to ensure that their records were up to date. Updating paper records also led to delays in patients receiving test results. The additional waiting time to get test results led to patients experiencing unnecessary levels of anxiety. Modern healthcare has improved the information recording process. Results and patient information is entered into a system that can be accessed by different healthcare professionals. Additionally, mobile devices are used to update the conversations with patients in real-time. This provides more accurate reporting since secretaries are no longer required to transcribe notes, which could lead to errors. Electronic health record (EHR) systems, like Practice Fusion, include features such as centralized chart management to enable medical practitioners to access patient records anywhere, anytime and on any device. An EHR system is regarded as an essential element of modern healthcare because it ensures that communication with other healthcare professionals, like insurance companies and diagnostic centers, are kept in a central place. Test results are also returned quicker using an EHR system. Results are entered into the system, which removes the risks of them being misplaced. The patient can be informed about their test results as soon as they have been assessed by a doctor. Trinity Health System formed a joint venture with Heritage Provider Network to provide population health management services. Anthem Blue Cross Blue Shield of Wisconsin entered into an agreement with Aurora Health Care to invest in primary care and benefit from shared savings. Allina Health created Community Health Action Teams (CHATs) to collaborate on the design, implementation, and analysis of health promotion projects. Comprehensive patient care – Patients have more options in relation to their care when partnerships are formed. You would be in a position to readily recommend your partner’s services to provide a complete care package to your patient. Team cohesion – Your team members are less likely to feel isolated when in a partnership with other healthcare providers. With news about Amazon and the other two major companies joining forces, your staff could feel a sense of isolation working in a small practice. Partnering with suitable companies will remind them that your practice isn’t on its own, but part of a group that has more bargaining power. An increase in the number of wearable devices. Higher rates of chronic diseases. Better access to high-speed internet. Expectations of cheaper treatment and disease management. There are many applications of the IoT in modern healthcare. Remote monitoring and medical device integration are two such uses. The aim of utilizing the IoT in modern healthcare is to increase patient engagement and improve the ways that doctors deliver care. Healthcare providers, like Stanley Healthcare, are using the IoT to help hospitals with real-time location services to track staff, patients, and medical devices. Stanley Healthcare’s IoT services can also provide environmental monitoring – for instance, checking the temperature of fridges where medication is stored. Companies like Amazon and Google are already utilizing the IoT for their Amazon Echo and Google Home voice-controlled assistants. These devices use machine learning to respond to consumer queries. 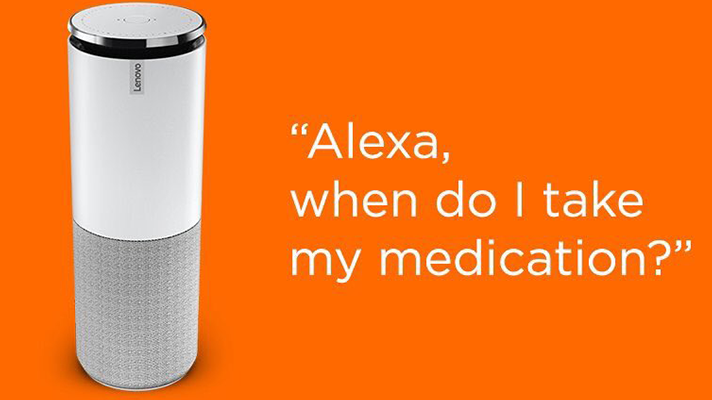 These smart speakers could be of benefit to your patients by reminding them about taking their medication or when they have appointments. A challenge that must be faced by all healthcare professionals in relation to the IoT is how to manage the data that is collected from the devices. Collecting data without any meaningful strategy to utilize it is a wasted opportunity to improve patient care. For the IoT to be fit for purpose in modern healthcare, medical professionals must have a plan to transform data into meaningful insights. Wearable devices could have a significant impact on improving patient’s health. The effects on modern healthcare in relation to wearable technology are not yet fully understood. There are currently numerous studies to determine how wearables can positively affect health outcomes, for instance, The Orthopaedic Institute at the Geisinger Health System will partner with Universal Research Solutions to conduct a study to capture data from patients in real time. One of the aims of this study is to determine how data from wearable devices could assist health professionals to make better decisions. Wearable technology is now being developed for the specific use of patient care. For instance, Philips has introduced a medical-grade wearable biosensor that continuously measures at-risk patients as they move through different parts of the hospital. The device will measure signs, like the patient’s respiratory rate, skin temperature, and heart rate. The biosensor will be linked to software that would notify the relevant caregiver in order to detect issues and intervene where necessary. More research needs to be done into how wearable technology can enable modern healthcare. 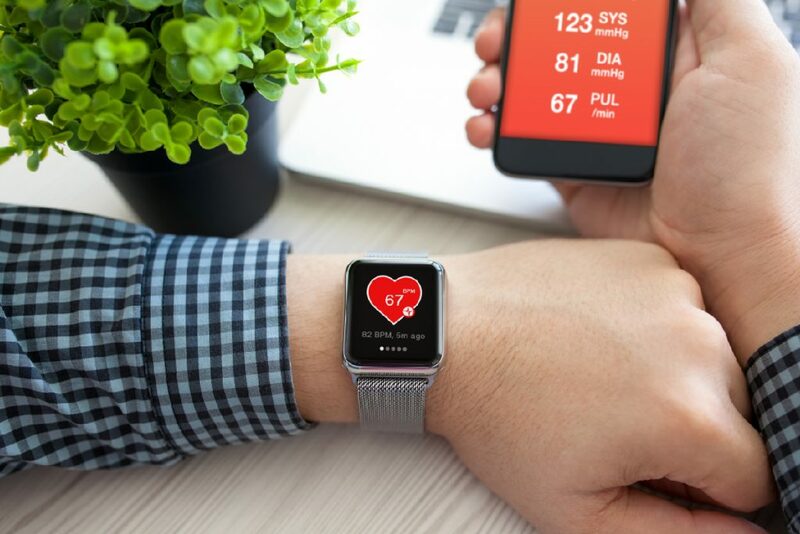 However, a simple way for you to utilize this technology to improve your patient’s outcomes is to encourage movement and activity using wearable technology. Talk with your patient about using their fitness tracker to increase the number of steps they walk within a day and discuss the positive effects that this would have on their health. Make your advice as practical as possible, so patients can realize the tangible benefits – from a medical point of view – of using wearable technology in the right way. The face of modern healthcare continues to evolve. Position your practice to change with the times by taking advantage of the latest tools to increase patient satisfaction and help you to provide the best care. With some research, you can identify solutions that will suit your practice’s budget and needs. For example, some EHR software is completely free of charge. Modern healthcare is characterized by increasingly savvy patients who will research and question the advice given to them. As patients use technology to assist them in their health challenges, they also expect medical practitioners to also utilize technology to provide them with the highest level of care. Deputy has been praised by healthcare leaders and clients alike for its ease of use and functionality. How can Deputy help healthcare businesses with employee scheduling & time tracking? Start a free, 30-day trial today to see if our employee scheduling software is right for your medical practice. The post What does modern healthcare look like and how can your practice get there? appeared first on Deputy.